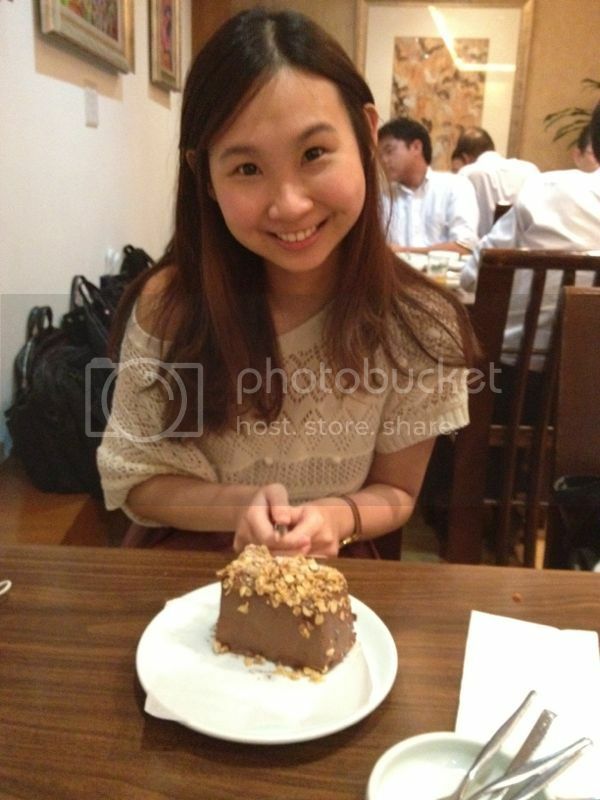 Honored that Twinny saved her actual birthday to meet us for a simple celebration! The birthday girl wanted to have Korea food for dinner, so we decided on the highly raved Hyangtogol Korean Restaurant at Amara Hotel. The seats weren’t really alot and we spotted quite a few Korean and Japanese dining there, so the food could be really authentic! As usual there are plates of small side dishes to start with and some are not that commonly seen in other Korea restaurants that I’ve eaten like the cold kimchi soup, my first time eating it and loved it, refreshing and cooling, it’s like a more watery version of kimchi. The kimchi pancakes was also one of my favorite and we did ordered another main pancake dish which was equally good. Btw, if you are curious, all side dishes are free flow, just tell the waitress which one you would like to refill. 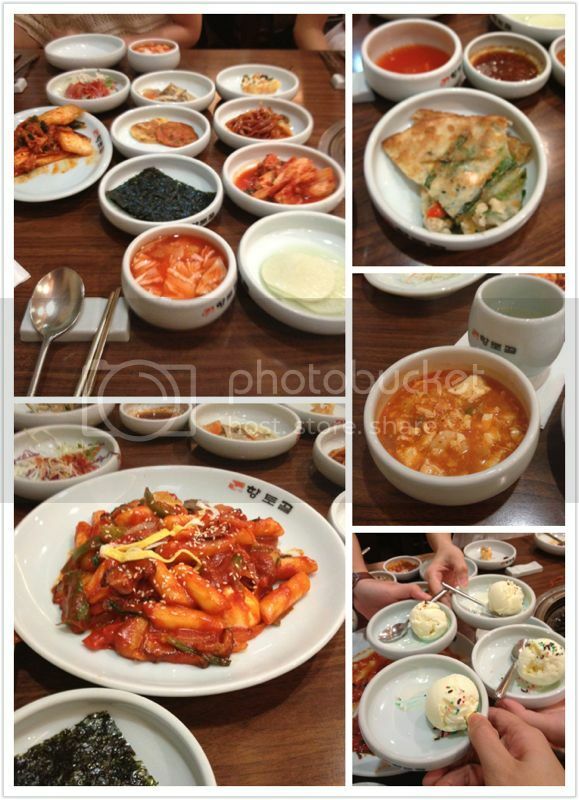 We also ordered Kimchi toufu soup and Dokbokki, Korea rice cake (Steph’s favorite). The dishes were all pretty pricey i would say, especially the meat. The main aim of coming was BBQ, but it seems like the meat was too expensive to order. 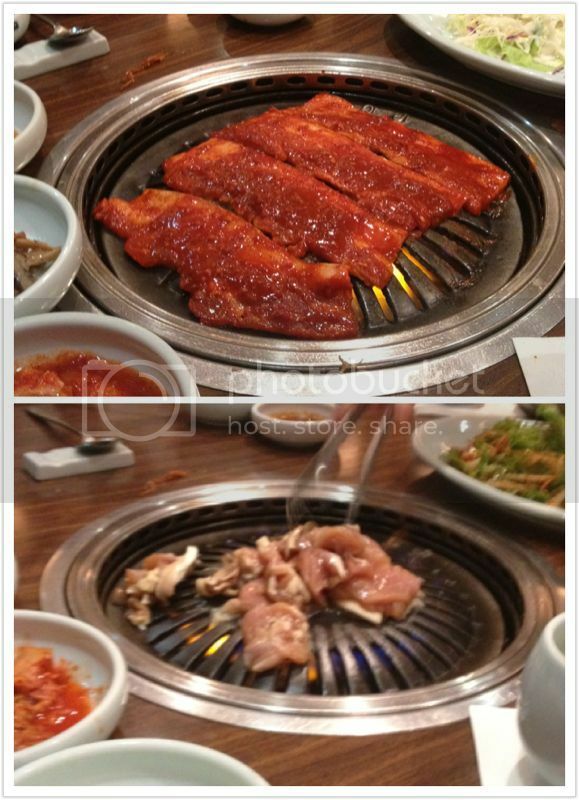 Therefore, we only ordered two different types of meat – Gochujang-Samgyeopsal, spicy bbq sliced pork belly ($24 for 200g) which was only 4 slices and Doaeji-Bulgogi, marinated bbq pork ($22 for 200g) above picture for rough gauge. The meat was cooked in front of us by the waitress , so we didn’t managed to BBQ them ourselves, but of course the meat was nicely cooked and the marinated sauces made the meat really delicious. How i wish the meat weren’t so pricy so we could order more, but still, with all the other dishes and side dishes, we were full enough. Happy Birthday Twinny! Welcome to the mid twenties club. Each of us paid $30 for the bill, which was quite acceptable for Korea food. 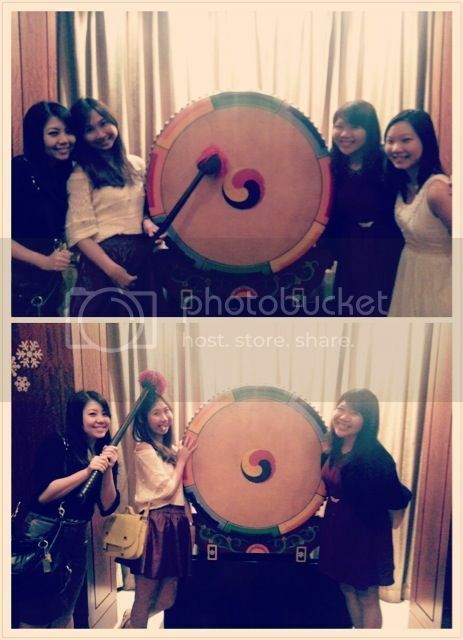 Don’t forget to pose for a photo with the gigantic drum at the entrance of the restaurant! This entry was posted in Birthdays, Food, Girlfriends and tagged Korean BBQ, Korean Restaurant.